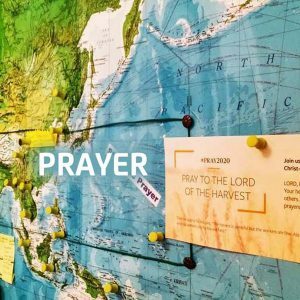 International Orality Network | Where are the Elijah’s in Prayer? Where are the Elijah’s in Prayer? ION has a solid foundation of an invisible, yet tangible platform of prayer. 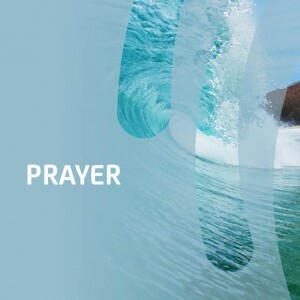 1 Kings 19… This story brings the reality of the Church and those who Pray right to the forefront of where we are today. For some time now my heart has been grieving with the Father for those who have in many ways done what Elijah did. They are hunkered in their caves and are tired, worn out from the battle of their journey. As trapped as they are, they like Elijah that day have not yet hit the point of being ready to move to the front of the cave to “notice what God is doing”. They like Elijah are afraid. Unwilling even to notice that God is still encountering them. But through a series of visits and conversations, God is able to speak and be heard by Elijah. There are masses out there that want to be all of what God has called them to be, but are like Elijah was huddled into seclusion, weary, sometimes even having lost hope for what God called them to. But, when Elijah finally gives notice and listens, God with great patience finally gives the strategy –the path forward for him. This sets in motion the next set of items in God’s agenda. You remember the story. . . Thinking about this story is the background for this article on UUPGs, Prayer & Orality (including the portion of God speaking through the Word, circumstances, people, etc.). What if we understood more fully. What if God might hold a portion of the anointing such as that of releasing of the “putting on the mantle” of praying for uupgs and a lifestyle of continual prayer, such as what happened in this setting? God used Elijah to set in place Elisha. A “setting in place” in verse 21, that could not have been undone from occurring. And even more, it was the catalyst for the fire that left him no return to the things of old?! Lord my God, You have done many things—Your wonderful works and Your plans for us; none can compare with You. If I were to report and speak of them, they are more than can be told. Along the way, prayer has given birth to many shifts. It has caused the reality of paradigm shifts that has affected many areas. Some of that has affected how we do prayer. And how we pray together corporately and individually. 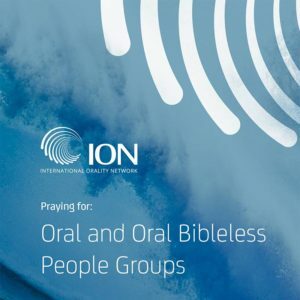 As we began to be engaged in praying primarily for Oral & Bibleless Peoples (an intentional shift we took in 2014), we began to move in oral methods as a team. We sensed the need to take our community of prayer to a whole new level. 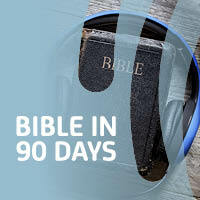 We began to advocate for the use of audio Scripture daily. To use Bible Storytelling in our prayer times. Many of our prayer team has been involved in storying training or is actively involved in that some sphere of orality on a daily basis. Some are simply those with a heart in prayer for Orality! UUPG – Orality – Prayer – A little history on ION Prayer. . . There is a small group who started out praying for one executive (Avery Willis) who introduced us to a whole new world. The world of seeing the LOST, those peoples who still were waiting to hear the life changing news of the Gospel and God’s great gift of salvation through Christ Jesus. From that small group, God launched a global group who link in united prayer each week. While we started out praying alongside one executive, God allowed the more. In addition to the work of Orality around the globe, we have been blessed to behind the scenes pray for the group of executives that quietly continue to meet three times a year that emerged out of Amsterdam 2000. These managing partners are working collaboratively together ZERO. Zero people groups that have not heard the Gospel. They continue to work toward having every people group with someone working on a strategy of getting the Gospel in where previously there was no one wanting to go to. Remembering back to the beginning, hearing of this listing of people groups who each had over 100,000 people in their populations and in which NO ONE was working toward having in place a strategy of bringing the Gospel to them. It was heart breaking and life changing. Fast forward 10 years, that same working group has had remarkable answers. They have brought a movement of collaboration into place that has impacted the outcome growth of critical pieces needed in the working in cooperation with God in the completion of the great commission. 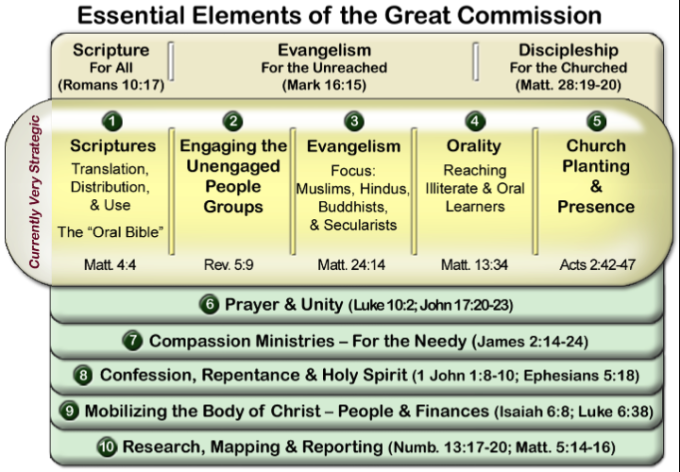 A key element of what has been driving the work is The Essential Elements of the Great Commission. It begins with Scripture for All (Romans 10:17), Evangelism for the Unreached (Mark 16:15), Discipleship for the Churched (Matthew 28:19-20). These are very strategic to bringing transformation of the heart to come to pass. 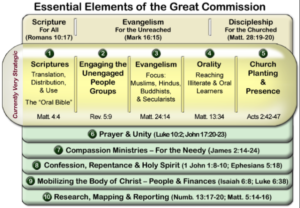 The currently very strategic essential elements of the Great Commission. In the area of UUPG, the research reveals in these people groups that the very reality is that there is little to no Scripture access was available in heart languages: Including NO Written Scriptures, NO Oral Scriptures, NO Jesus Film, NO Gospel Recordings, NO Radio Programs, NO Churches & NO Believers. Wycliffe Global Alliance announced in Oct. 2015, there are still 1,778 People Groups that do not have ONE VERSE of Scripture in their heart language or mother tongue. For many the Gospel message given just can not or will not be able to be received, because it comes in a format or mode that will not reach them at a heart level. Heart level is where transformation happens! God’s message really needs to be heard. . . The 10/40 Window is where most of the Unengaged Unreached People Groups (UUPG) live. It is also where the largest number of the Persecuted Church live. In addition, it is the area of the world where the largest numbers of Oral Learners are located. 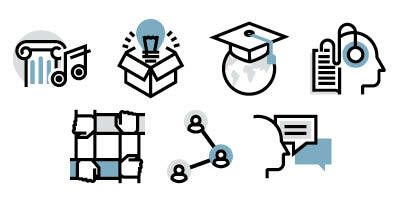 Did you know 80% of the world are oral learners? Think about it, 5.6 Billion people and of that number over 1/2 are children! As those involved with ION Prayer, we are asking the King in the face of this great need across the globe for those who still wait to hear the transformational message of God’s great gift, the Gospel -the Good News. . .
We are asking for a linking together and a join in prayer for the prayer spoken about in Matthew 9:5-38 The Lord of the Harvest. 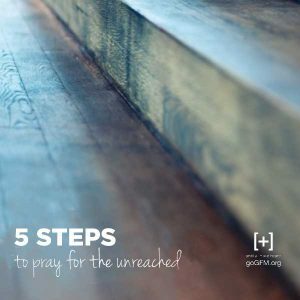 This is a call for us to advocate and prompt more to pray, that He might send the laborers into His harvest field. Father, draw us to a place that we might notice that the reality of Your plan to reach the EVERY AND ALL has not changed, but maybe we might need to make a shift, that results in more fruitfulness in reaching those who still wait to hear. 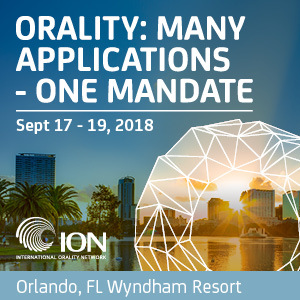 International Orality Network, the Orality Movement is on the cutting edge of influencing the Body of Christ to make disciples of all oral learners. The billions of Oral & Oral Bible-less who need to hear the Gospel and the gift of saving knowledge of the Salvation gift of Jesus, in a way that will allow them to really receive. We are asking God to call out pray-ers and intercessors for the Nations and People Groups who still wait… Continue to pray with us for Oral Peoples & Oral Bible-less Peoples. Our core team and myself are finishing out ten (10) years in place with the International Orality Network. That is an item to celebrate. Lots of changes have occurred since Avery Willis brought us into this world. We have learned so much about orality and about prayer along our journey. We have been blessed to see prayer grow within the context of ION.